An organized home is a happy one, where it’s easy to find items and avoid clutter without wasting time digging through junk. By organizing the home, it will create peace of mind and ultimately set the tone and mood of the environment. Baskets and containers are one of the main secrets to an organized home, working to group like items for a clean space that is clutter-free. Plastic containers work well for flour, sugar, and cereals, while larger containers can separate holiday decorations or seasonal clothes. Use cozy baskets to organize underwear and sock drawers, along with keeping hair tools and products together in drawers. To create an organized space under the kitchen sink, use plastic containers for cleaning products by grouping similar chemicals in each box. 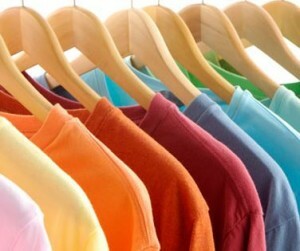 Closets are one of the most unorganized spaces in the home, easy to throw junk into and hide the dark space’s clutter. Make it easy to put an outfit together in the morning by grouping all of the most unused items farthest away, while the most used garments can be easiest to reach. Put jackets in the same area, along with dresses in their own spot, and even office attire in another. Use shoe racks underneath to keep the pairs organized. Purchase a label maker to make it easy to keep containers clean and organized in closets or the garage and attic. Property labels can even be placed in books that are lent out, making it easy to prevent lost items. Label containers that contain ingredients in the kitchen, along with craft supplies or tools. Pantries can easily become cluttered, allowing food to spoil when they get pushed in the back of a shelf. Many homes have an excess of food that often gets tossed out, wasting money and space. Take advantage of can racks, which allow the oldest cans to be placed in the front to prevent spoilage. It will make it easier to use all of the food, and even find it. Do a spring cleaning twice a year, especially if there are children in the home. Make it a rule to throw out or donate toys, clothes, or accessories that have not been used in the past year. It will not only make it easier to find items you actually use, but will make you reconsider your next purchase, ultimately saving more money.